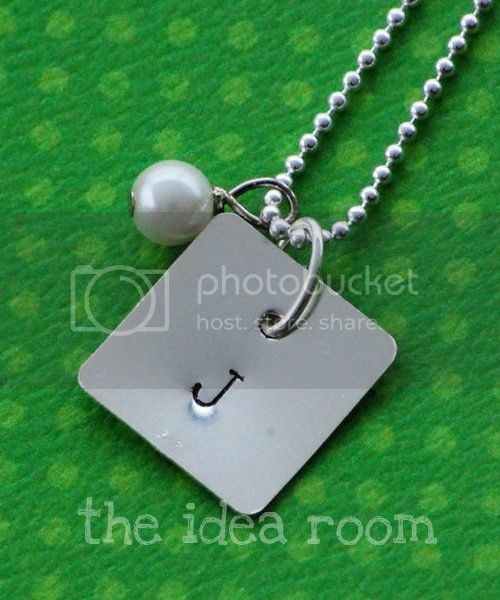 My Little Blue Book: Stamped Initial Necklace with the Idearoom! Mother’s Day is coming up…do you know what you are getting the Mother’s in your life? 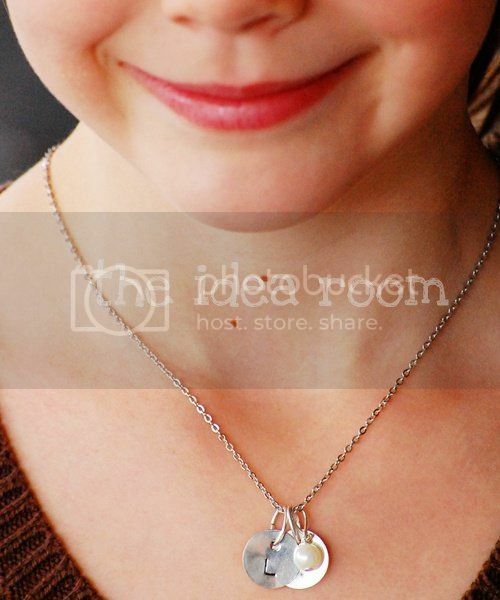 Why not make them some stamped initial necklaces. One charm with each of their children’s initials for them to wear close to their heart. Or make one for yourself! 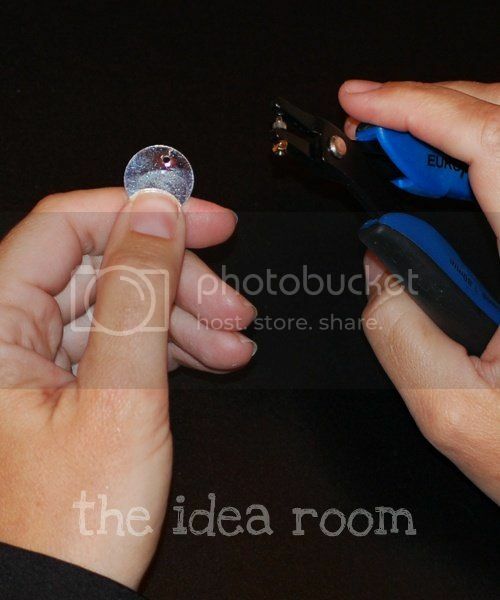 They are really easy to make all you need are a few supplies. 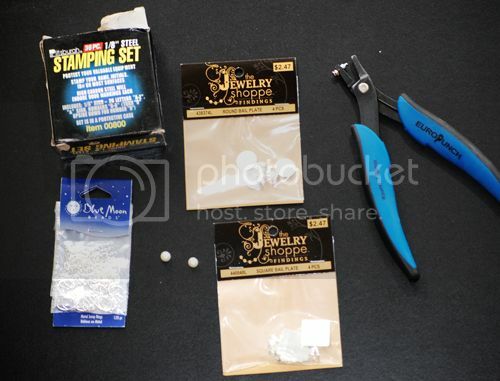 (I tried to find some “less expensive” metal discs with holes already punched in them and found several online. However with shipping and handling, they were a little more than I wanted to pay. Then I found these discs with pre-attached hangers (?). I didn’t like the look and thought that I might be able to just cut them off with wire cutters. Well it turns out, one little twist with pliers is enough to take that attachment right off. 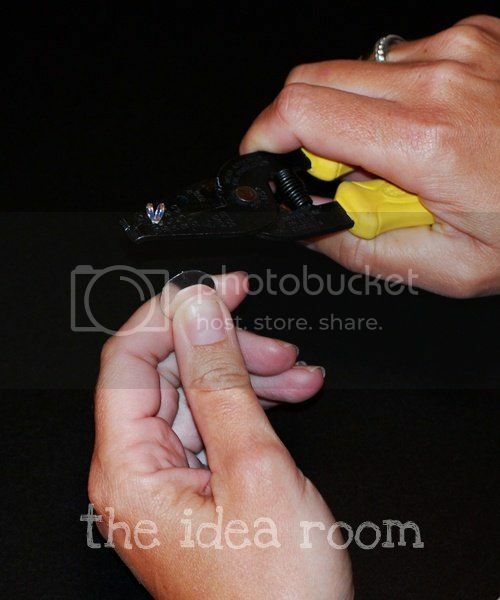 After you remove the attachment, take your punch and put a hole in the top of the disc. Take the initial stamp tool that you need and then place it directly on the disc. I did this on a very hard surface…the cement in my garage. I set a thin washcloth under the disc to protect it from scratching. This will not work on a table, etc. Then take a hammer and while holding the stamp VERY STEADY hit the stamp firmly in the middle a couple of times. Now take a black (or colored) permanent marker and color in the initial where it has indented in the metal. Quickly and lightly wipe the surface of the disc with a wet wipe to remove any excess ink. 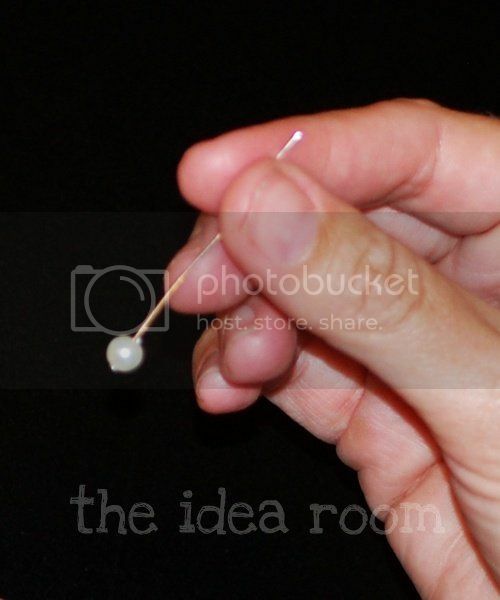 Take a head pin and place a pearl onto it. 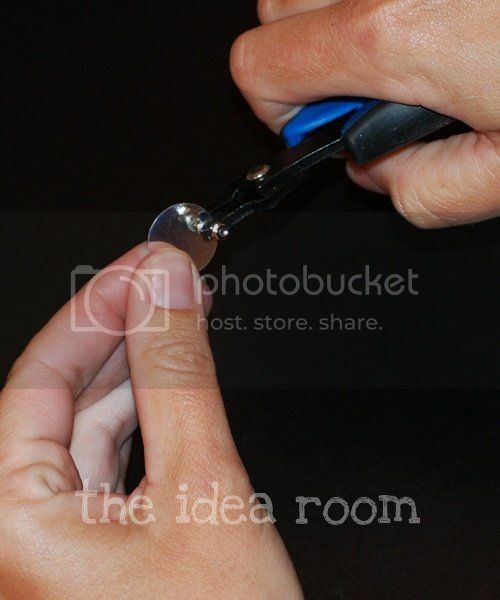 With some pliers twist the pin so that it bends back down on itself like in the picture. 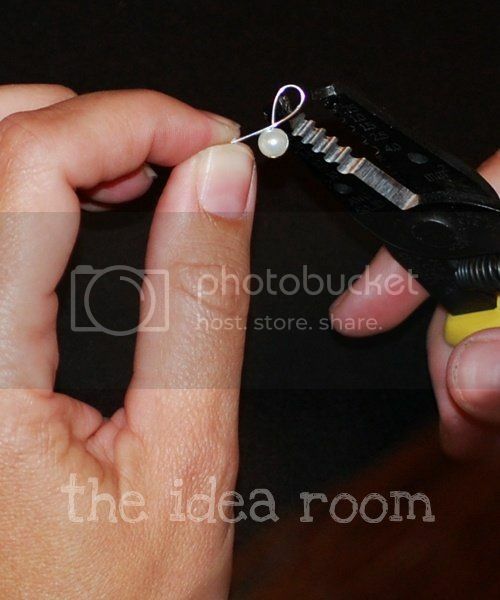 Then twist the extra wire around and around the top part of the wire directly above the pearl to secure the pearl and so that you also have an opening large enough to slide the pearl over the clasp of your chain necklace. 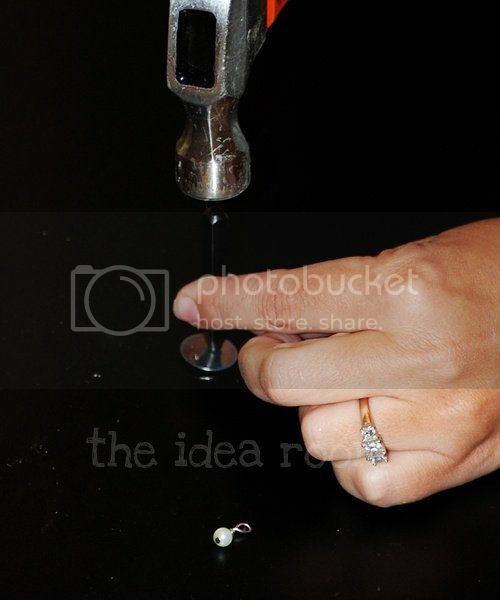 Then simply slide a jump ring onto the initialed disc and attach it and the pearl to the chain necklace of your choice. These necklaces are quite popular as you well know. They are so easy and make inexpensive gifts for anyone really. I have already made several of these for my sisters, sister-in-laws and a few friends for gifts already. Go ahead and try it. Let me know what you think! **Edit** A few of you asked where I got my punch. I got it from Beaducation. They also sell the metal discs, etc if you are not near a Hobby Lobby. One of my readers, Jennifer, sent me an email with this Beaducation website several months ago after I mentioned wanting to find some better washer necklaces. Thanks again Jennifer!